Sellers battle procrastinating buyers every day in the hope of meeting this quarter’s target. But as a new book reveals there is a good reason for buyers to want to delay a decision. It is a classic case of buyer as a tortoise and seller as a hare. Understandably sellers get frustrated at stalled deals and procrastinating buyers. The problem at is simplest is this: sales people want to go fast, while most buyers want to go slow. For sellers this is at the root of the challenge of predicting what deals will close and when. Are you getting frustrated with procrastinating buyers? The complex sale is classic case of the buyer as the tortoise and the seller as the hare. But, in spite of all the sellers speed, the only one certain to cross the finishing line is the buyer! A fast sale is great but a fast purchase can spell disaster. Buyers have known it all along – taking time to make a important decision is very important. To be cautious and careful in buying also means to be slow at buying. It seems to run counter to the times we are in -when everything else is speeding up, buyers are slowing down. However an interesting new book suggests that buyers – and indeed anybody making a decision – will benefit from delay. Faster Internet speeds, accelerating global markets, increased competition and the all round quickening pace of business and life demand greater speed and decisiveness 24/7. Or do they? Could speed actually be part of the problem, with procrastination and delay the solution? Well a new book says it is. ‘Wait: The Art and Science Of Delay‘ by Frank Partnoy Professor of Law and Finance at the University of San Diego argues that ‘in a fast world think slowly’. That is a mantra professional buyers have long embraced. Salespeople often suspect the role of procurement procedures and processes is to slow down the speed at which managers spend their organizations’ money and the pace at which important decisions are made. In this context, this new book suggests that buyers are wiser than we might think. Could you be expecting your prospects to make a decision too quickly? The author pulls together the research to show that many of the decisions we make can benefit from delay. Speaking like a professional buyer he argues that taking control of time and slowing down our responses leads to better decisions and better outcomes. Whether it is in the context of making a pitch or giving an apology, the book argues that the use of pauses or delays are important. If nothing else they make the message appear more meaningful or considered. Are there valid reasons for your prospects to delay making the decision to buy? Negotiate the best deal/outcome, etc. Partnoy claims that when faced with a decision, we should assess how long we have to make it, and then wait until the last possible moment to do so. The problem is that while everything else has speeded up, much of buying has slowed down and no fast approaching quarter or year end sales target will change that. Buyers may take their time in making a decision but time is a luxury most under pressure salespeople can afford. Sellers are busy looking for ways to accelerate the sale when many buyers are seeking to slow it down. Procurement teams know that if you slow down buying you cut back on spending. The problem is that selling fast and spending slow just don’t go well together. Partnoy provides accounts of celebrity “delay specialists” such as Warren Buffett and Chris Evert. But of course every salesperson can name “delay specialists” in respect of many deals that stubbornly refuse to close. Only the terms sellers traditionally use for these procrastinating individuals are much less flattering. Who is the “delay specialist” on the buying team in respect of your stalled deal? Procrastination isn’t just the thief of time (as the famous quote from Edward Young suggests) in respect of buying it is also the thief of the sale. 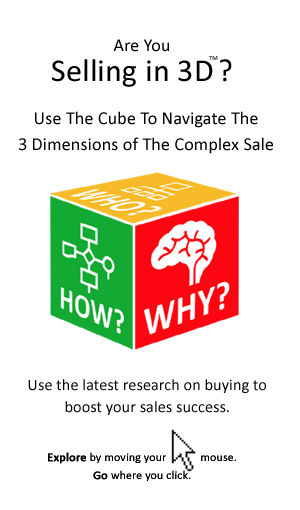 Slower buying decisions result in longer and more unpredictable sales cycles. In the context of selling it is helpful for sellers to reframe frustratingly slow decisions as buyers strategies for ‘managing delay’. That is to say there are managed as well un-managed delays in respect of slow buying decisions. Managed delays are deliberate – they involve analysis, steps and procedures that deliberately manage the speed of the decision with the objective of improving the decision outcome. On the other hand un-managed delays are typically unforeseen and unintended – it may be that the buyer simply does not know better. The reason for the delay – managed or un-managed – determines the appropriate responses from the sales person. Trying to accelerate a buying decision where the delay is managed, or deliberate is the most difficult. After all, the buyer has made a deliberate decision to go slow. 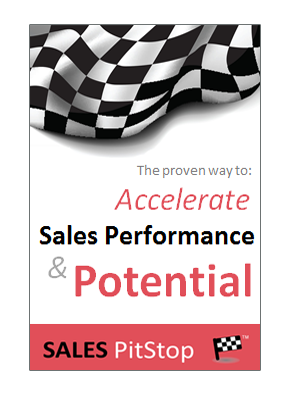 Are you dealing with a managed, or un-managed delay in respect of the stalled sales opportunity? High perceived level of risk of the decision and so on. 2.Don’t rush to a decision and don’t expect your customers to do so either. Indeed urge them to take time to decision. It sounds counter-intuitive, but by trying to accelerate a reluctant or slow buyer the seller runs the risk of alienation. 3. Know the buyer’s buying process if you know they are at step 3 of a 5 step process then your forecast for closing will be much more accurate. 4. Ask your prospects what the right time to decide is and the factors that influence that timing. 5. Find out whether the delay is a managed, or unexpected one. 6. Understand the buyer’s form in terms of decision speed. Is the organization slow at making decisions and indeed embracing change? The buyer won’t go fast for you, if he, or she does not go fast for anybody else. 7. Find out who is slowing the decision most – is there a delay specialist on the buying team and what is causing them to retard the decision? 8. Understand the role of buying processes and procedures in retarding spend decisions. Use your knowledge of the buying process to improve the accuracy of your forecasting. In addition, helping the buyer to meet the requirements of his, or her internal processes can accelerate the sale. 9. Explore the benefits and the costs of delaying a decision. In addressing the ‘why buy? question you must answer the ‘why buy now?’ question too. Most important of all you need to help the buyer to build a compelling business case, or justification for the decision. 10. Build pauses into your pitches and presentations. Don’t be so quick to reply to customer questions or objections – pausing before answering gives your response a more considered air. Also take more time in making decisions in respect of customer requests – organizations that make cautious considered decisions are likely to expect the same from others. Get a copy of the Art and Science Of Delay here.